In this grammar lesson, you’ll learn an easy way to tell the difference between the past simple and present perfect. Find out how asking the right question can give you the correct answer simply and quickly. When did you start your new job? How long has she lived in India? When did you deliver your presentation? When did you buy this house? How long have you been in the hospital? thanks so much so i will continue following up your lessons cause realy you explain the subject clearly so i understood thank you agin teacher. Rebecca has been taught us these kind of topic 4 the fifth time, but we need another 5 times to understand. thanks Rebecca. Thank you very much for this nice lesson ! although, i am familiar with these tenses, i am really interested to remember them from time to time ! Good for you! Nothing like review to help you master the tenses. All the best. Thank you Ms. Rebecca, It’s so wonderful. Just today I registered. Awesome. i think, you could say : how long have you been out of work. You mean “reminder”! My pleasure; glad I could help. All the best to you. thank you for this wonderful lesson,your teaching make it easier to understand. Really it’s very easy to improve my english with your speech. It is very logical. Thanks a lot!, with teachers like kou, is lovely to learn English. When did she have baby ?when did you complete your phd?the answer should be pass simple tense instead of present simple or present perfect tense,please correct me if I am wrong. Hello teachers, I am from Brazil and i am learning English. I moved to USA a couple of days ago and i would like to know if you guys give some private classes through skype. If the answer is yes, i am interested. Contact me please. Congratulations for the site, it is great. Welcome to North America, Leticia! At this time, I do not give Skype lessons but will pass your message on to the other teachers, who may or may not do so. I wish you all the best with your English and with your new life. Thanks allot. I love the Quiz and specially the way the questions is asked. Thanks for your classes, it really helps to improve Eng. There is a mistake in the QUIZ,there is no PRESENT SIMPLE at all, but in answers it’s shown as correct one. You’re right, Yury. There was a problem with the answers for this quiz. This has now been fixed. So glad I could help you, after you waited so long! All the best to you. question 3&4 pls check ,answer is past simple ,but wrote there present simple is it correct? That’s correct. There was a problem with the quiz answers. This has now been fixed. It’s good that you caught it, bujunnd. Hi Rebecca, are you sure that your the test is correct? First – When did she have the baby? If I right understand it is Past Simple. Why the answer contain only Present tense. Petr — there was a problem with the quiz. I’m glad you caught it! We’ve now fixed the problem. Nella seconda, terza e quarta risposta correggere Present simple con Past simple. 2. How long have you been in England? 3. When did she have the baby? Hope you will fix it! You’re right! Sorry for the error! We’ve now fixed the quiz. There’re two misprints in that quiz. That’s a very clear explanation. Thank you so much. I’m preparing to the TOEFL exam and this helped me. I socred 10 out of 10 in the quiz. Thanks Rebecca your teaching sooooooo good .I love your way of teaching so cleary ,keep going. you’re the best teacher .God bess you. Thanks Rebecca your teaching sooooooo good .I love your way of teaching so clearly ,keep going. you’re the best teacher .God bess you. Thank you kindly. My best wishes to you, too. Thank you my teacher Rebecca. hi, Rebecca. one more wonderful, great, amazing lesson. you are too much. i have to tell you that my fluency in english and my listening skill are improving day by day because of you. i just love your lessons. thank you so much. Thank you, Daniel. I am very glad that you find the lessons so helpful. My bets wishes to you. My best wishes to you, I meant! My englisg is getting better andand better . Thanks for the confession and I wish you all the best with your English in the future. Rebecca i got 4/10 in quiz but still i have to improve my grammer and way of talking can help me for that please.and i am prepairg for toefl &many people are saying u have to improve your grammer. Yes, although grammar is no longer tested directly on the TOEFL IBT, it is tested indirectly in the speaking and writing parts of the test. So make sure you review all the necessary grammar. Many of the engvid lessons should help you. All the best to you. TOEFL.. is the hardest thing in our planet, its even more harder than understanding women. i’ll pray for you. Thank you for correction for the answer of question3 and 4.We sometimes an error. I have a question. If I want to know where my friend has gone for 2 year and now he comes back. which sentences should I ask? Where did you go? or.. Where have you gone? you can say. where have you been so long. this is just i am trying if it is wrong please correct it i am also learner. Yes, padmarai is right. The best question would probably be “Where have you been?” or some variation of that, such as “Where have you been all this time?” or “Where have you been for the past 2 years?”. You could not say “Where have you gone?” because your friend has already come back. I hope this helps you. All the best with your English and thanks to padmarai for offering to help. Awesome lesson. your teaching is perfect Rebeka. Understood simply and exactly. Thank you a lot. Thank you kindly. All the best to you. Hi teachers i am Narjice from Morocco,thank you a lot for this website and for all lessons, i write this letter because i have a confusing between start and begin what is the diffrece please? There is almost no difference between these two words so feel free to use whichever one you like without worrying too much. The word “begin” is perhaps a little more formal than the word “start”. That’s all. Thank you very much Rebecca. That’s was a new good lesson. I wish all the best for you! See you soon! Actually, it would be incorrect to use the expression, “get a baby” if the woman gave birth to the child herself. In this normal context, it is correct to say she had a baby. She had a baby boy three months ago. The only exception I can think of is if the child had been adopted; then you could say “She got the baby three months ago.” or “She succeeded in getting the baby three months ago.” or something similar. Al the best with your English, Sasha. It looks like you have a very long experience. Thank you very much for your great way of teaching. wow . fabulous rebacce . just keep on. Thank you for remining Rebecca!! i think this video was useful to understand the quiz. i’m happy 10/10 yeahhh! This is a great style of presenting two confusing tenses upfront. this is really a nice way of learning tense when keep up front and actually comparing when to use when. I request you to please provide understand about other tenses as well in same manner. I am learning English but I really get confused when you need to switch from one tense to another during conversation. I do not teach online at this time. Thank you for your interest and feedback and will pass your message on to the other teachers. My best wishes to you, Davinder. Not sure what your message was. My best to you, in any case, Sunanda. can you tell that uses in the sentence? the lessons ae very interesting, but i got a doubt…. how long have you been in toronto? it must be how long have you been to toronto, or i’m wrong? Here, we are asking someone how long they have lived in Toronto, or how much time they have spent there. This time the preposition changes, as you can see, and this is used to ask if the person has ever visited Toronto. Prepositions need a lot of review and practice, so it’s good you asked. My best wishes to you, Julio. hahahaha! thanks you so much Teacher Revecca thanks for the knowledge and great idea…10/10 yeeeheeee…GBU…. thanks a lot guys you really helps me to understand english rules because you make it in a easier way. Hi, very interesting, very helpful. Hi, I have a question if you can help me! when you say in example “how long have you been employed” is the guy still working in present time or not? Yes, good question. I know it sounds like this should be in the past, but in fact we can ask this question when the person is still working, in the present. Hi Rebeca, I really like your lesson about past tense and present perfect. Verry interesting lesson. However,some of your examples make me confuse because some word end of -ed and some is not using -ed, for example When did you get married, when did you graduate, when did you get engaged, when did you get the job? Appreciate very much if you could explain again about this matter mentioned above. The word that changes here is the verb get or the verb to be and not the word married or engaged or worried. You see that the word married did not change in the above examples. Hope this helps. My best wishes to you, Cecilia. you explain clearly, so everyone can understand what you say and what you mean . I love everything you do…..
i like your way of teaching,thank you very much. Thank you!! I got it! My name is Lillian and I just wanted to let you know that I really enjoy your lesson and appreciated. I have a question that I hope you would answer. Sometimes, large corporations-such as Mcdonald and Starbucks, lend their name to a small business owner and collect license fee? or whatever you call,How do you call that type of business? The business that is not directly managed by the corporation but steet using the name. Thank you for your time and concideration. I am not sure exactly what you are referring to, but maybe the word you are looking for is “to franchise”. Check in the dictionary whether that is what you had in mind. Another related word is “to sponsor”, but I think you are looking for the first word. My best wishes to you. Ms. Rebecca, if I said “Since when are you married?”, would it be wrong? Hello Rebecca, could you explain the difference between HAVE YOU GOT, HAVE YOU and DO YOU HAVE, please? In North America, we use “do you have” rather than “have you”, which is more British English. We do use “have you got”, but usually in more casual conversations. So if you want to use an expression that is clear and familiar all over the world, I would choose “do you have”. All the best to you, Ellie. Thanks so much…. this web and the teachers are amazing. mrs. Rebeca.. thank u.. it was a verry goog presentation.. Thank you Rebeka, please other lessons about tenses, this is my bigest problem in English. You are not alone in struggling with these tenses, so don’t feel bad. Engvid has many video lessons on tenses which could help you, and you should also work through a very good grammar book till you understand when and how to use each tense. My best wishes to you. kindly upload more videos on same assignment. I’ve learned a lot.Thanks, Mam Rebecca. This lesson is very helpful to me! I learn a lot from it! This is my problem too, but you´ve explained very well! Good! Congratulations!! Thanks a lot! Now i understand better! Hi, Ms Rebeca thanks a lot, I have these things about present perfect and past simple very clear now. Thanks to all for your feedback. I really appreciate it and wish all of you the very best. Thank you so much Ms. Rebecca. for this video so I’m able to understand & speak the english language better. Thanks Rebecca. I understand a now. Thank you very much again from NZ! Hello Rebecca! Great lesson, but could you explain the difference between Present Perfect and Present Perfect continuous… thanks! for example:have you ever eaten mushrooms? have you every been in Austria? Hello marius1989! Thank you for your time! very good explanation! i forgot to say that present perfect continues can be used as a reproach for example teacher says:how many times i have been telling you to study?how many times i have been telling you to be attentive in the classroom? i have been waiting for him since 9 am that means you started to wait him you are waiting you will wait.so is an action wich wasnt interrupted. to learn it better try to use interrogative form of both tenses and then you will understand them better but it will be easy. Thank you for this very important video lesson. It has cleared my doubts regarding usage of present perfect and past simple, but I get confused between the verb pairs like WILL and WOULD,CAN and COULD and their usage.Is the usage of these verbs confined by tenses?, or can they can be used interchangeably? or Has it got something to do with politeness? Could you please post a lesson on aforementioned things? It will be really helpful for confused students like me. Ir’s really simple and effective explanation at the same time. Thanks a lot, Rebecca. Thank you so much! I love this lesson. Thank you Rebecca.You´ve explained very well.I really like your lesson. dear Rebecca:thank you for your video!it’s helpful for me!i have a question:in this lesson,(Past Simple)when did you move to Toronto?Present Perfect:how long have you been in Toronto? with another sentence:about arrive,Present Perfect:how long have you been here? Do they(I mean Present Perfect)have the same meaning?or have differences?thank you afain!looking forward to your reply. Rebecca; really you are the only best teacher that i have ever met. I love you so much! Thanks for the lesson. I do not remember the first time I watched an EV video, but since then I’ve improved my english a lot! I’ve got 10 out 10… great performance by the way.. I have never been to London.I really appreciate it.Have a nice day. Im form México and i like your vídeos Rebeca. Hi Rebecca aka respected teacher, I love your teaching method. You are an awesome teacher who has lots of knowledge about teaching english and you are no doubt an expert on your field. Good luck and keep teaching us. great thankfully from my dearest teacher Mrs Rebecca. Thanks Rebecca.I have got 10/10 by quiz. But I do not understand sentences in your video concerning tense: How long have you been engaged,married…ect. (Been) is used for progressive group of tenses, therefore-How long have you been engaging.Can you help me for my confusion? Sorry Rebecca.I have understood.Words (married,engaged etc) in the abovementioned sentence are used as adjectve, not a verb.Is it correct? Yeah! Thanks a lot I got it. I’m sure I will keep practicing. Wonderful Rebbeca, you are Great!!!. Thank tou very, very much. hi, anyone here can help me answer this question with proper grammar? 1.What was the last city you went to? What did you like about it? 2. Would you like to visit New York? Why? 3. Have you been sighseeing in a big city on your own? What did you see? 4. Have you ever spent a whole holiday in a city? where? what did you enjoy most? 5. Have you ever been on a shopping trip in foreign city? What was it like? Rebecca could you tell me please why we use “get married”?not “get marry” in interrogative sentence Past Simple? Thanks a lot for all your viideo!!!! Rebecca, you have a brilliant pronunciation! You really good teacher! You video is very helpful! Don’t stop do this! We need you! Be healthy, lucky and happy!!! Thank you! thank you for your time.your explainations is clear.can you make a lesson about models of possibility? you’re a great teacher. I am new on this website, I think I will be continue to watch your video, they are so helpful. Thanks for your effort of this, take care. This is of course useful, but I would like to have or try more difficult forms, because I run through quiz easily without looking at video. But when I need use these grammar tenses in the real conversation, then I start to confuse them. My it’s my personal problem, anyway Thank You. I can do every Past simple and past perfect quizes and questions thanks ms.rebecca! It’s really nice video. I love this. Thank you very much Ms. Rebecca. My first test, It was very good!!! Thanks. Thank you Miss Rebbeca, I got 100. This is my first visit to engvid and I liked your way of explaining the English lessons. Rebacca thank for all lesson and I will be good in english like you ..
Grammar points are always useful! Thank you, Rebecca. I love this site! i have confusion between simple past and past perfect. ‘When’ could not be used with Present Perfect, could it? Is Present Perfect Continuous used to express the meaning for temporary conditions? Is there any vid about Future Perfect tense on EngVid? that is fantastic i got 100 out of 100. thank you for explanation and have a good time teacher. The way of teaching is very simple.thank you very much Reberca.have a great day. My question ;Can using of “the ” article determinater of tense? Some books remark that if we use ” the ” tense must be simple past ; if not use article tense perfect . and i want improve myself in English because this is my first year at University and i found so much difficult in grammar and pronunciation,so i want some advice from you for helping me . Hi Rebecca, I like so much your teaching stile and your accent. Thank you! Hi again, could you send us a lesson about all the tenses? I wish it so much, if it’s possible! Thanks a lot for this lesson Ms.Rebecca. I do like the way you taught cause it’s clear. This english lesson was useful for me. I feel that I’m improving my english with you. Thanks a lot! It was a good lesson for me. Well, Im from Peru. Im studying english. I need to improve grammar. thanks Mrs Rebecca thank you very much . This is Mario from Mexico city. Thank you for been my teacher for years. and so helpful to my life…..God bless you. Rebecca you are such a good pedagogue, I wish I had such a good teachers in my education proces! thank you so much my sweet teacher. 2. “what did you said?” , “Did you got that concept ?” are these correct sentences ? Which is the tense of these sentences, when should we you this kinda tense ? E.g what did you say ? Can we say it as what you said ? If yes then in which case we should use do and did ? thank u madam…i have a one question .when use the word do and does….??? Why is there the Present Perfect Tense with often? Thank you Rebeka. This topic is a matter of proof. i got 10 out of 10 ^^* thank you so much dear teacher , you are the best. Thank you , I got totally. Wowww… You are really good Rebecca!! It’s the first time in all my life that I really seen the difference between both sentences. Now I will practice. Thank you so much! I have problem with present perfect.Because it is confusing. 1.Eng hasn’t been touched a snake. This sentence is not correct,and why we don’t use been in this sentence???? 10/10 Thanks Rebecca! You are the best teacher! More advanced lessons please! Ms.Rebbeca thank you very much for that lesson. Excuse me Rebbeca but i didn’t understand some points in this lesson, firstly most of these sentences are passive, secondly i everywhere read that after been goes preposition to, for example: I have been to Toronto, How long have you been to Toronto.Am i mistaken? Thanks Rebbecca you are an amazing teacher!!!! Thanks Miss Rebecca, very helpful videos. madam. can we say “how long have you married?” without adding BEEN?? thanks for all your efforts. could you show me the difference between “award” and “reward” ? Hi Rebecca and thanks for the lesson. What are the time markers for the present perfect? 1.How long have you married? 2.How long have you been married? I thought we use “been” only in present perfect continuous,could you help me please? Mam, I have 1 specific doubt. The movie has released on friday(present perfect). Can you please tell me the difference between the 2 sentences? urmm.. could you please add more quizzes and make them harder? Thanks again! Thanks very much Mam Rebecca I got 100% when I got 100% I become very glad. When did you start to watch lessons on engVid? How long have you been watching lessons on engVid? Miss Rebecca You are the best ! EX: How long have you been married? Can you teach me where the discrepancy is? Thank you! Guys can someone explain me this please, on the quiz there was one question like this “When did she have the baby?” Don’t you use “have” only in plural ? At some point I thought that there is should be “has” instead of have. P.S. Thank you so much Dear Rebecca for this lesson. It was really helpful and easy to understand. You lessons are clear and concise. And i want to know about difference between present perfect and present perfect countinues tense. Thanks Rebecca,how long have you been teaching? Thanks you Rebecca for your clear explanations !! that’s a great lesson. I want you to tell me how can I make A comparison between the present perfect and the present perfect continuous. Thanks Rebeca, so great your class. I’m little confusing some about that, so help me please? So, let’s make sentences for practice more about the topic. I wish if you could make the lesson more harder to be more understood. The quiz has been very easy! Rebecca, I’m Brazilian and I speak the Portuguese Language, which is very different. In the Portuguese language which is spoken in Portugal they use the Present Perfect A Lot. it the way the Portuguese do in Portugal. We use a Present tense + gerund. wrongly in Brazil, makes it easier for us in Brazil to understand these two English tenses. I think it’s the same as in American English. in general, don’t like to study our Language. Sorry for having written so much! Thank you so much! very well… 100 You got 10 correct out of 10. Rebecca, I really like your lessons. They improve my English so much. Thank you for your brillant work. I’ll be very happy if you can answer me. Tkx a lot! I got 10 out of 10 but I have some doubts in it. The sentence “When did she have the baby” can be asked as, When did she had/has the baby. Great, I got 10 correct out 10. Superb lesson simple and clear. Thank. Congratulations Rebecca you are really wonderful teacher! Itood was very good explanation. I have understood this meaning and i hope i did not forget about this topics. it was very good explanation. I want to know why the time is not important when we use the present perfect. Why can’t I say “I’ve been to the U.S.A in 2010.” ? It is a life experience that started and ended in the past and at the same time it is related to the present time in someway. However, I want to specify the moment. A: We are going to the U.S.A next Friday. B: I have been to Uncle Sam’s Country in 2010. My trip is an event which started and ended in the past (finished time), but it is connected to the present (unfinished time), because the elocutionist believes that this event is relevant to the moment of focus. It was so simple to understand, tks! I got ten questions. Excellent explanation. Thank you Rebecca, you are amazing when you explain the lessons I understand you a lot… please can you help me for the times perfect and continuous there is many!!!! my weakest point in english is grammar..???? Very good your class about this subject. Actually between past and perfect. Good presentation. is there any another quiz available. Hi Rebecca I have one doubt about this lesson. For example if I say I’ve been married for ten years it means I’m still married? If i want to say I was married for ten years and I’m not married anymore, can I say the same sentence I’ve been married for ten years? Thanks a lot. 10/10. Very clear explanation ! Thank you Rebecca, I’m almost done watching your video’s in one week. Perhaps Engvid can make a “next video” of “next quiz” option? When i’m done with the video i must go back and search where i was, i think an option like that will make it more easier. This is very nice video I understood how ask question I want to know how would be answer of below question. could you give me answer please ? Thanks for this lesson. I think that it helped me so much. Thank you a lot, ms. Rebecca! I jut have watched both of your present perfect videos, and I hope it’s becoming more clearly to me. Hi rebecca…..how long have you been thought English classes. I already watched “how to ask questions in past simple” vid and my question is, why here you add -ed in questions ? First, Please accept my sincere thanks for helping me with the very informative English lessons. These lessons boosting my confidence. I need help to understand the below sentence which i got wrong in the Quiz. Actually i am unable to understand how it could be present perfect. I suspect that the inquiry is about someone who lived in India for a duration in past, but not living currently. Please correct my understanding. Dear Ms. Rebecce, Thank you very much for the excellent lesson. This pass simple and present perfect is a hard concept to get down! Thank you So much Rebbeca for an nother English lesson 10 of 10. Thanks Rebecca for this lesson and clarify. I keep on watching your lesson whenever i have time and a lot. Amazing explanation on this video! Thanks! Hi Rebecca, Thank you for your lesson about Past Simple and Present Perfect Tense. Can you please explain? I am quite confuse about the formula. Thank you Ms. Rebecca. It’s an excellent explanation! Dear Rebecca, I love your lessons and I hope we all can use the language to understand each other. I got 10/10. Thank you Rebecca! Good Morning , I love all your lessons but I would like to be able to find the transcripts so I can use them to teach my students. Where can I find the transcripts? 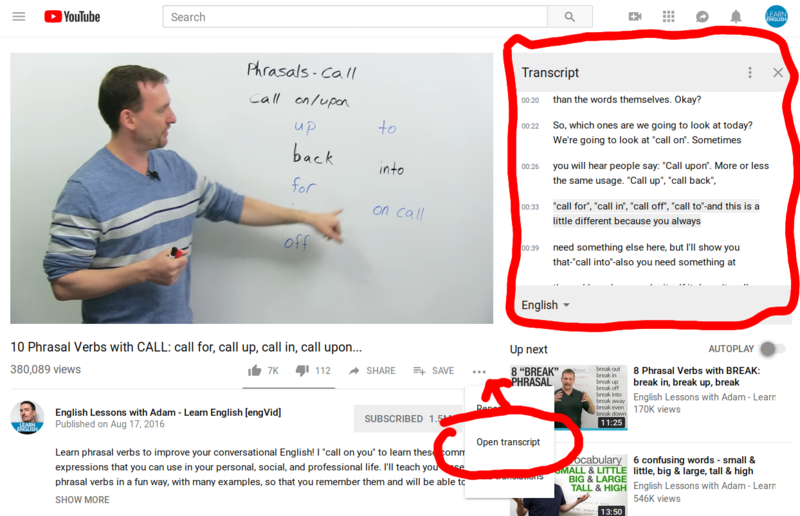 If you go on YouTube, you can see the transcript for the video.This is how to display it. Hi Rebecca where can I find your reply to my questions? Thanks a lot for this class!